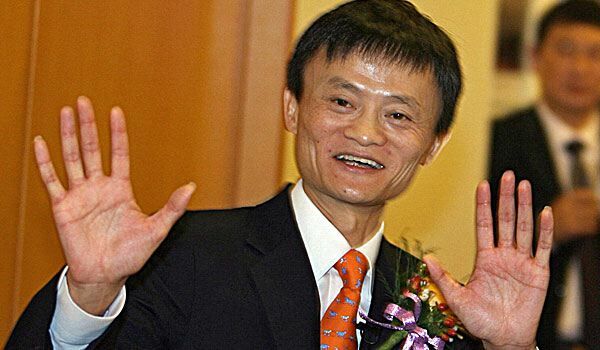 Today Jack Ma's Chinese company Alibaba became listed at the New York Stock Exchange, making the young Chinese entrepreneur the richest man of China. Ma is also the first mainland Chinese entrepreneur to appear on the cover of Forbes. His very low 2d:4d digit ratio (estimate: < 0.90) is a typical feature seen in entrepreneurs! He doesn't seem to have a prominent fate line. How can we reconcile this with the consensus opinion that fate line means 'Strong Life Purpose' ? It looks like he is left handed. learner wrote: He doesn't seem to have a prominent fate line. How can we reconcile this with the consensus opinion that fate line means 'Strong Life Purpose' ? Nope, he is likely right handed (because he always appears to have is pen/pencil/microphone in his right hand). His hand seems to be of water type, narrow and slim long fingers. How can we reconcile this with being such a high successful entrepreneur ? I am confused. Kiran, Lynn, Martijn, Pravin and any other expert please add your thoughts. 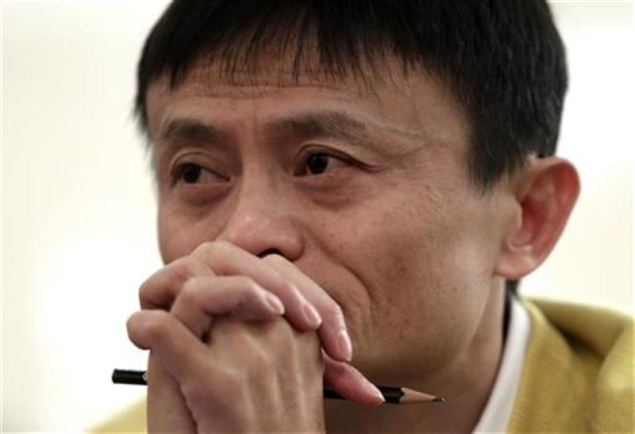 According the revised metacarpal elemental hand shape approach Jack Ma appears to have a Water-Air hand shape (right hand: Water-Air, left hand: between Water-Air and Water). Maybe you would like to add your assessment based on the other perspective that you are using? 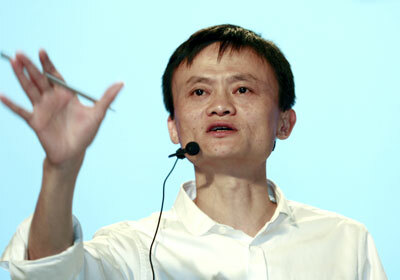 A former school teacher Jack Ma is the founder and executive chairman of Alibaba Group. 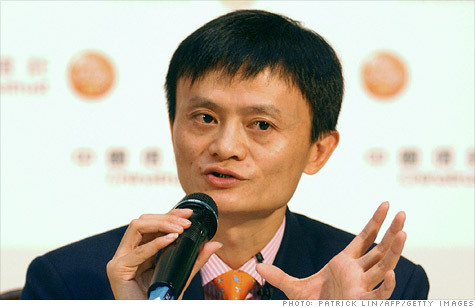 He is a hero for many Chinese entrepreneurs. 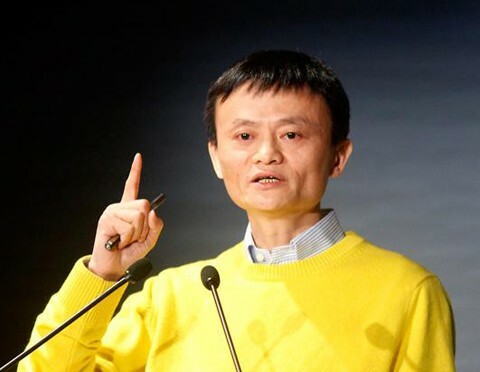 He is in the news because of the dashing incredible money he generated soon within minutes by launching the IPO in New York Exchange and became the China’s richest business person. His company provides business-to-business services that connect small and mid sized importers and exporters in China with counterparts worldwide. I usually don’t comment on public pictures because they can mislead you, but, in this case some things are clear and that his pictures are somewhat self expressive and attracted my attention so here is my analysis as per the available pictures. He has everything which is needed to be a successful in the world, good health, fortitude, courage and well directed well focused aim with consistency in efforts. Strong life line, head and heart line and a strong supple thumb suggest so. Generally, supple thumb people earn more than stiffed thumb because they are more flexible in thoughts and they are good listeners too. Naturally, money wise, he was blessed to be fortunate because of those vertical lines on the left hands he sticks to his own way of thinking, judgments or decisions. Partnerships, associations too are fortunate for him since he always gives importance to them and cares for the harmony among them and tries to get on so well with people too. He trusts himself for his unique business ideas. This is because in the left hand the Nature’s Plan he has not only one directional transverse as per the law of average – vertical lines - but has three and all are uninterrupted and proceeding up to the termination i.e. The Fate Line, the Sun Line and the Mercury Line. The attributes for these lines are success, name fame, acumen with abundance of easy money and long distance travelling with satisfaction. Small hands with others markers show Big Thinking. If a person does not have Fate or Sun line we take Mercury line as Directional Transverse. These lines show a strong sense responsibility and his focus is great and long fingers denote he goes into the minutest of details in whatever his field of study may be. He has not such clear lines in his right hand, this shows he has radically changed his Nature’s Plan for his life and is not traditional team thinker. We are not moved by lines but, lines are formed according to our attitudes, acts and experiences. Lines are still getting formed and it is a continuous process. He is lover of independent thoughts and actions see the gap between ring and little fingers. He is basically a person who organizes and operates ventures and assumes the associated risks. He is born to act in this world substantially in the manner of a successful entrepreneur. A bit smaller and low set index finger confirms this. Taking risks is the hallmark here and the longer ring finger making him attractive. The middle phalanges of almost all the fingers are larger than others so abstract, concrete, particular perceivable, real world much developed. His thinking ideas are based on solid planning. The ultimate result of his efforts must be in his favor. The extra developed Moon Mount gives abilities to create something. Steve jobs also had it much developed on his hands too. If we consider moles here, I found a mild mole on the Mercury mount. I am of the opinion that on palms these denote some kind of fear and on face generally fortunate. He has a mole on his chin, this is also making him rich and the mole on the Mercury mount denote if do not does proper exercises, take proper rest, be health conscious with discipline; he might suffer from pain in the leg and due to this his bodily efficiency agility can be destroyed, as he is now doing overtime and is thrilled. If he says I don’t want to be liked, I want to be respected he mean it; see his high set middle finger. This makes him to indulge in sincere and serious business not in glamour popularity. I say if one thing is obtained almost all other things automatically received.